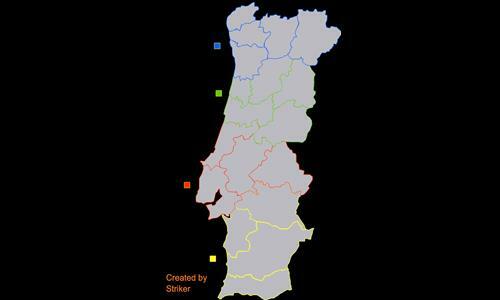 Portugal with 18 districts and 4 big areas. Review by Richard Sharpe on 3/25/2012. Not a bad little map (little being the operative word). Unfortunately the lack of abutting borders for bonuses detracts from its playability as it is difficult to determine where one bonus ends and another begins. Review by Pope Sixtus VI on 10/7/2013.